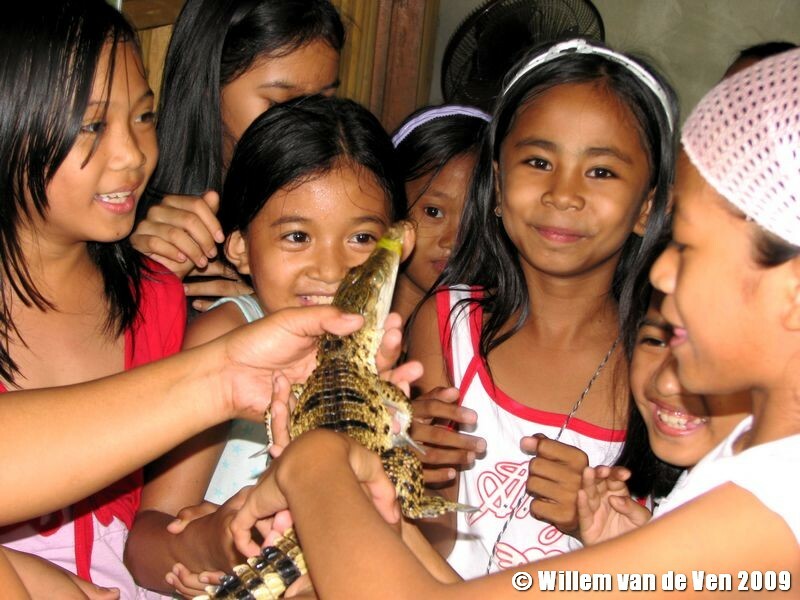 The Philippine crocodile (Crocodylus mindorensis) is the most threatened species of crocodile on the planet. Only a small population survives in the foothills of the Northern Sierra Madre Mountains, and this population wasn’t growing very well, despite protection efforts of the Mabuwaya Foundation. 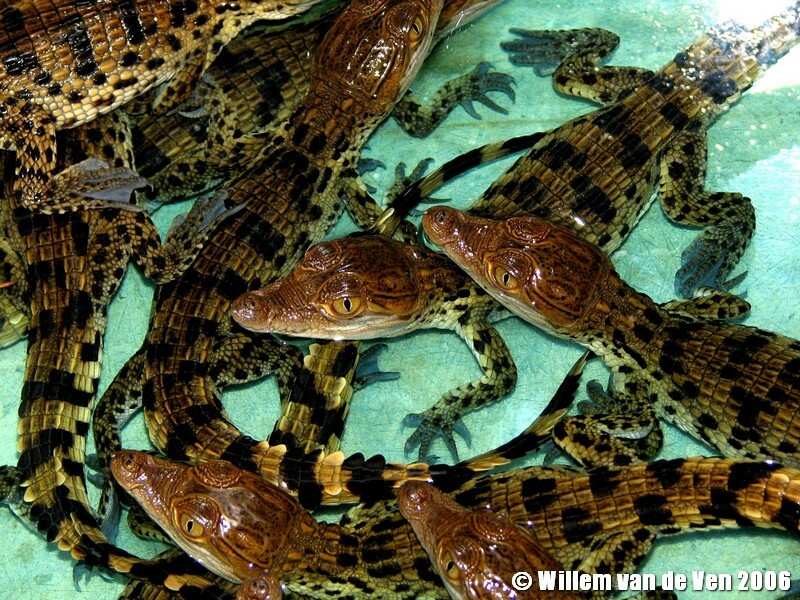 Crocodiles in general lay many eggs, of which only few will ever become adult crocodiles. However in San Mariano, the survival rate of hatchlings was particularly small. Probably the crocodiles used to nest near small lakes or marshes. However most of these have been converted into rice fields or other agricultural purposes. The result is that crocodiles now make their nests next to fast plowing rivers. When the hatchlings come from the eggs and go into the water, most are flushed away immediately and are never seen again. The ones that do survive still have predators to contend with; monitor lizards, pythons, rats and herons can eat a small hatchling. Therefore the Mabuwaya Foundation initiated a head-start program. We collect the hatchlings and keep them safe until they are strong enough to survive currents and to evade predators. 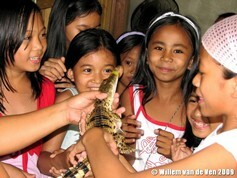 The Philippine crocodile population has been growing a lot since the start of the program. 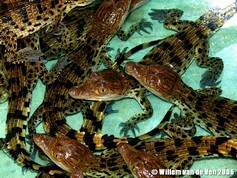 All this makes it possible for the crocodiles to survive in the wild, and to safeguard their existence. However it is also very costly. 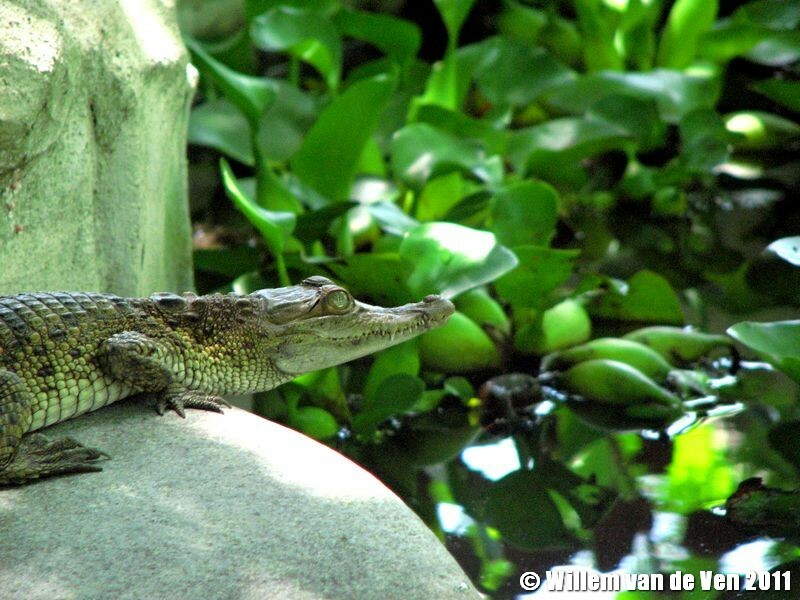 If you want to help, adopt a crocodile and a school kid in the the Crocodiles in the River and Our Children at School (CROCS) program. 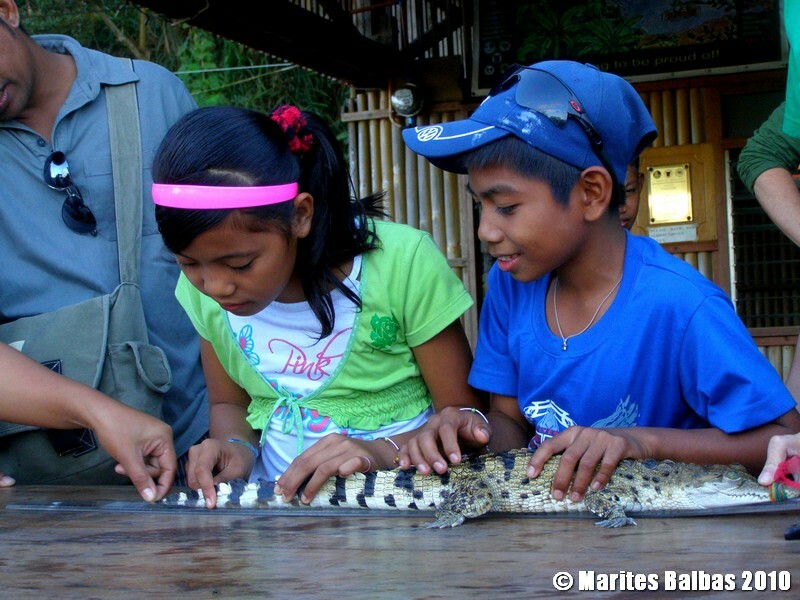 Visit the Municipal Philippine Crocodile Rearing Station (MPCRS) in barangay Minanga, San Mariano. Just outside of the city centre along the national highway. No entrance fee!